Landais horses come from the sandy beaches of Southwest France. 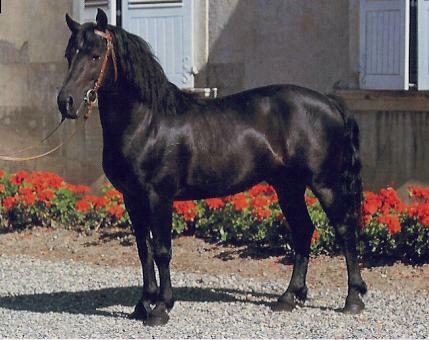 They are related to small Barthais hores and Arabian horses. The result is a small (about 13 hands tall) Arab-style horse. Sometime in the beginning of the twentieth century, there were an estimated two thousand of them roaming wildly worldwide. Just after the Second World War, they were decreasing in popularity, but in the 1970’s a studbook was produced and improved in numbers since then. Today they are found in France and Spain. Landais horses are used for riding and harness purposes alike. They are generally black, bay, chestnut, and other brown shades. They are neat in appearance, have a high set tail, attractive head, and sloping shoulders and quarters. Also, they have muscular legs and a large wither.